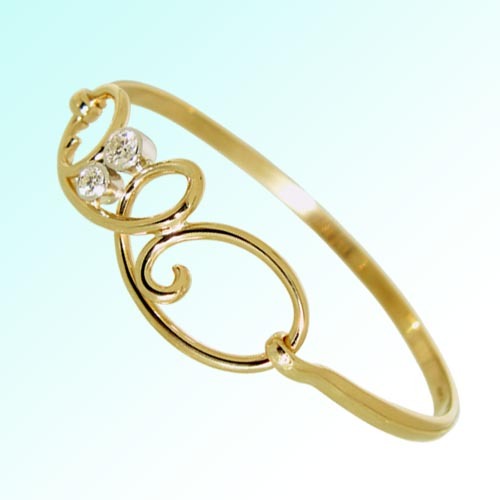 We design and make bangles and bracelets to be individual. 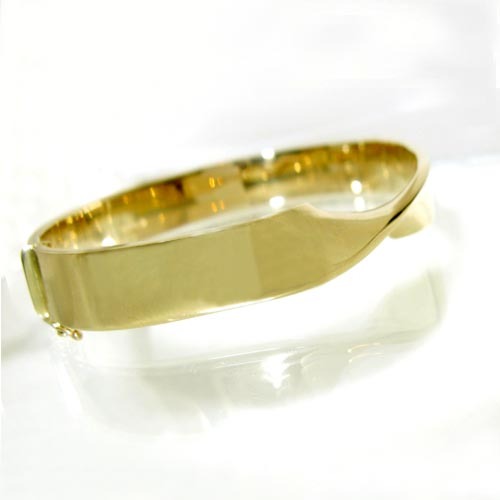 Each one is hand made to the highest possible standard of craftsmanship. 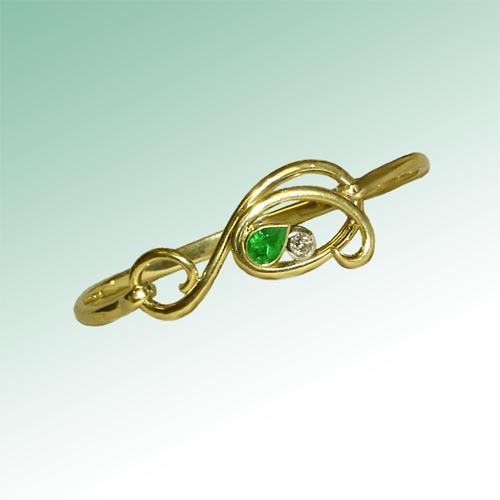 Many incorporate different colours of gold, Diamonds and Gemstones. 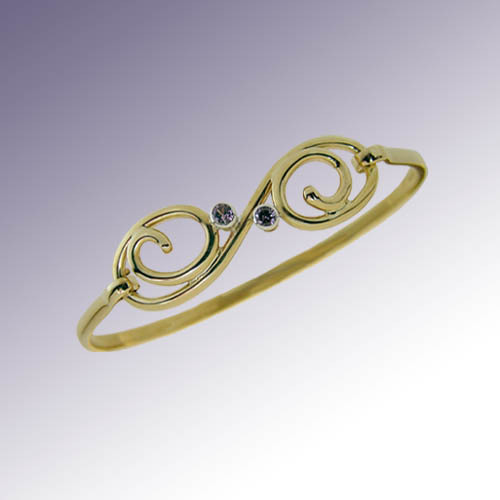 From simple to more complex styles, each one is unique. 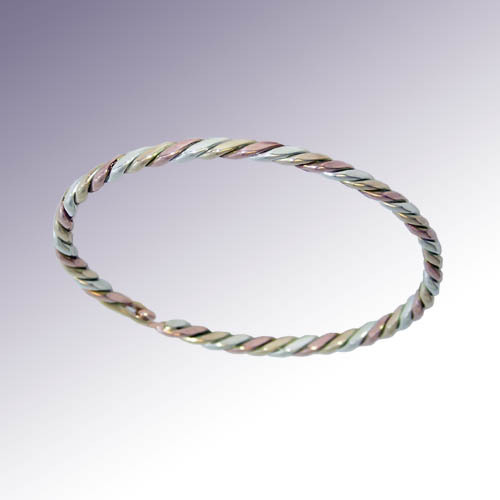 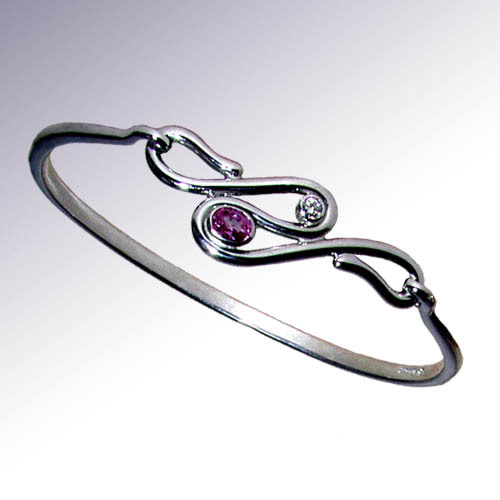 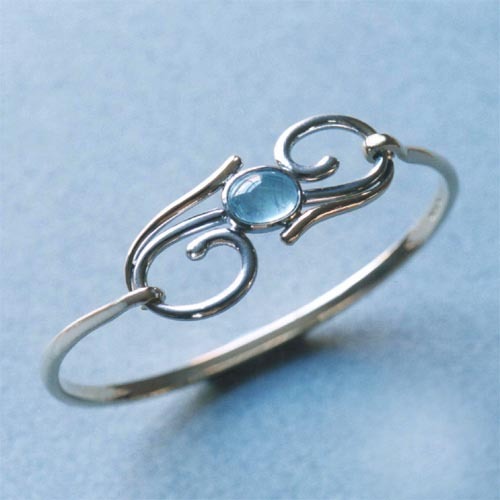 All of our bangles are designed to complement and reflect the wearer and their taste and style. 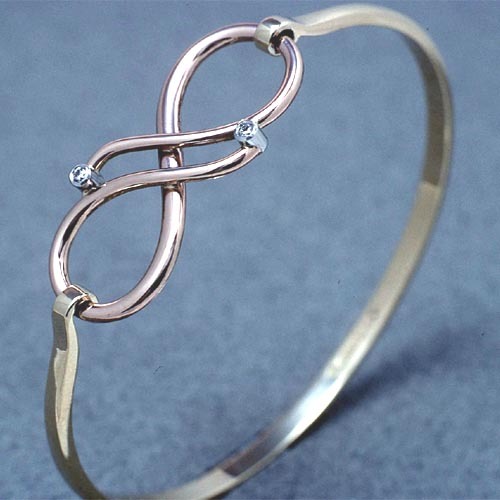 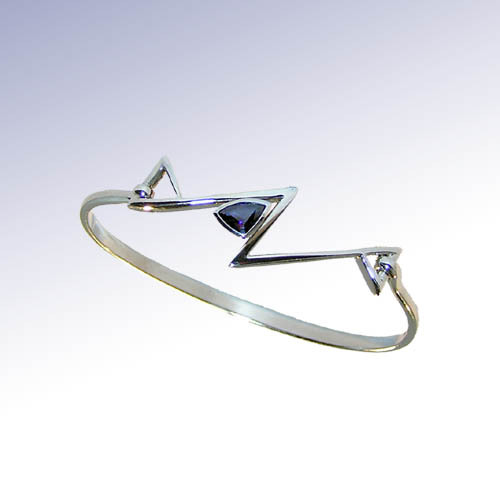 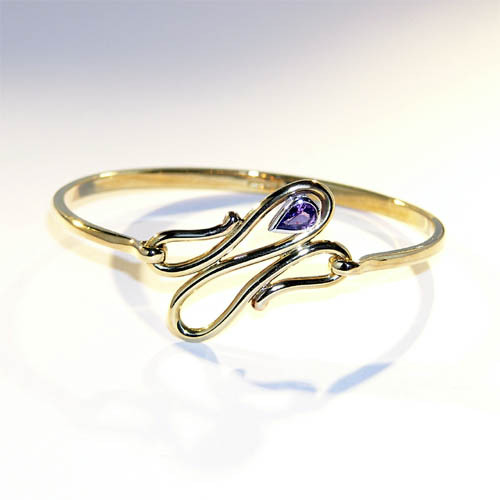 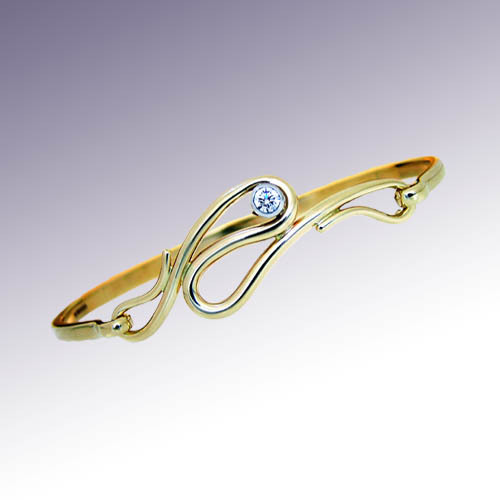 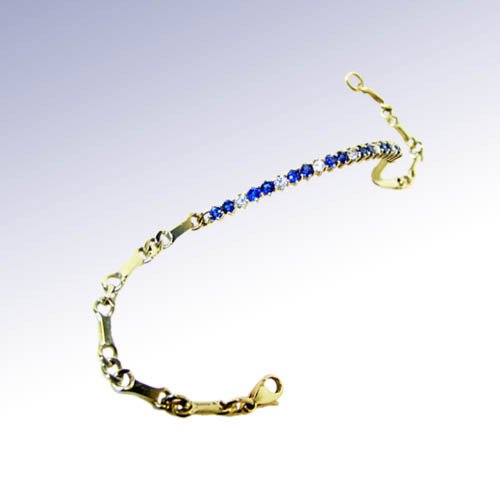 We can incorporate client’s treasured stones or gold into Bespoke bangles and each bangle is made individually to ensure a perfect fit to the client’s wrist. 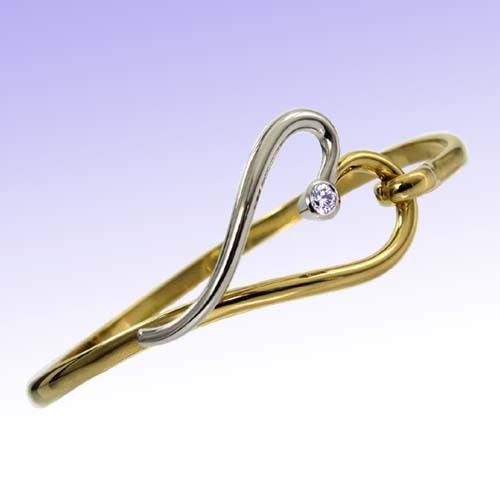 Please call in, phone or email, to discuss your Bespoke bangle or bracelet, designed and made especially for you. 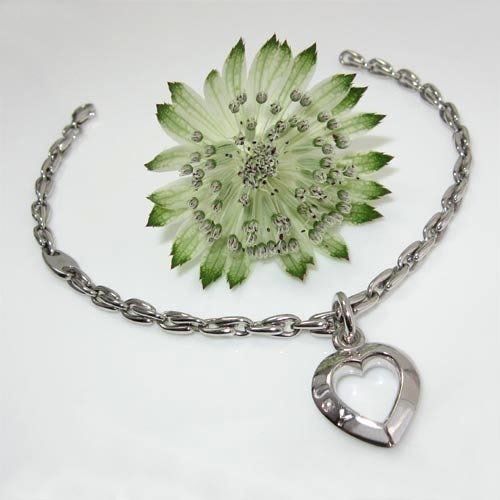 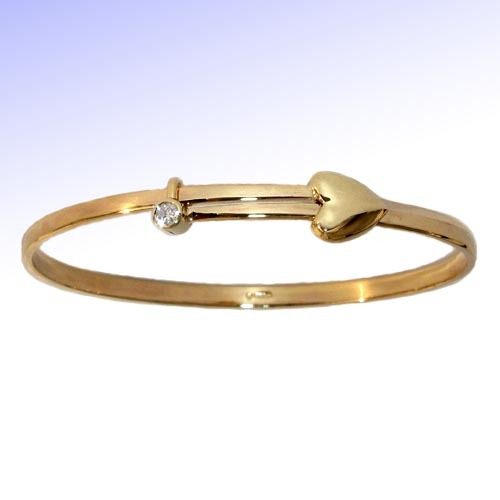 'Joy' Heart charm with Diamond on bracelet.